This low carb bread pudding tastes SO good! Loaded with cinnamon and chocolate, it is a fantastic way to end a meal. This is a sponsored post written by me on behalf of Netrition. All opinions are my own. Please see my disclosure policy. This post also contains affiliate links, which means that at no extra cost to you I can make a tiny bit of money to help support this blog. Thank you! Perhaps you think I’ve gone completely mad by suggesting a low carb bread pudding recipe? I have to say it isn’t something that I thought I would ever be eating on a low carb diet, either! However I was recently given the opportunity to try Love the Taste Bread by Thin Slim Foods. They have several flavors: Plain, Honey, Cinnamon, Everything and Rye, and I chose cinnamon! The bread is very good – lightly toasted, lashings of butter – perfect! And at only 1g net carb per slice – I’m completely sold! UPDATE: If you’re looking for low carb sandwich bread, check out my NEW guide to buying low carb bread online! But as much as I like eating it the “normal” way, the slight sweetness of it made me think of bread pudding (or bread and butter pudding, if you prefer). So I came up with this recipe that needs just SIX ingredients and I just know that you’re going to love it! Cut the bread into cubes and place them in a bowl. Bring unsweetened almond milk (vanilla flavor works well!) almost to the boil, reduce the heat and add butter. Stir until the butter has melted. Pour the milk mixture over the bread – you’ll get an instant cinnamon aroma! Leave the bread to soak for ten minutes. In a separate bowl, mix together eggs and low carb sweetener (xylitol or or granular Swerve would work well). Pour the egg mixture over the bread, and add some low carb chocolate chips – I use these mini ones from Lily’s. Pour everything into a butter-greased baking dish, and push down the bread so that it is in the liquid as much as possible. Bake in a preheated oven for 30 minutes or until the egg mixture has set. Let cool for five minutes, then serve. Place the cubed bread into a bowl. In a saucepan, bring the milk almost to the boil, reduce the heat and add the butter. Stir until the butter has melted. Pour the milk mixture over the bread and leave to soak for ten minutes. In a separate bowl, mix together eggs and sweetener. Pour the egg mixture over the bread, and add the chocolate chips. Pour everything into a butter-greased baking dish, and push down the bread so that it is in the liquid as much as possible. Bake for 30 minutes or until the egg mixture has set. Let cool for five minutes then serve. Remember to head on over to Netrition and order some Love the Taste Bread today (and pick up some other low carb goodies while you’re there)!! 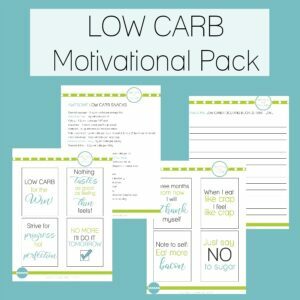 Check out my Low Carb Family Favorites Ebook! 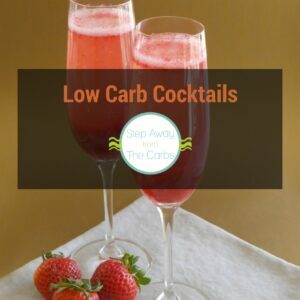 Are you looking for low carb recipes for the whole family to enjoy? Check out my book! I love how easy this is to make! Looks like the perfect dessert for a low carb meal! Georgina, I haven’t had bread pudding in years. I love that this recipe doesn’t require me to make the bread before making. Simply easy and delish. This looks like pure comfort food! Lovely! Can you buy this bread locally? I can’t buy it from my local stores, no. But I love shopping at Netrition for all kinds of low carb goodies – including this bread. I’ve included a link at the top of the post. Enjoy! As I’m originally from the UK, I understand completely the lack of low carb products! But in truth I don’t buy more than low carb tortillas from a supermarket – most of it is from online specialists. How big is one serving? The whole recipe serves four people, so one serving is a quarter, I don’t have weight or measurements, I’m afraid! How much bread cubes does 6 slices make? 1 cup, 2 cups? Asking because I want to use some low carb bread I made that fell. I’m not sure in cups – but one slice is 1oz, which might help?